Large-size freestone creek on the Qualla Boundary (Cherokee Indian Reservation). Location From Cherokee, north via Big Cove Road. Section is from Blue Ridge Parkway overpass north to River Valley Campground. Easy to moderate access. License Requirements Eastern Band of Cherokee Indians Tribal Enterprise Fishing Permit plus a Catch & Release Permit. 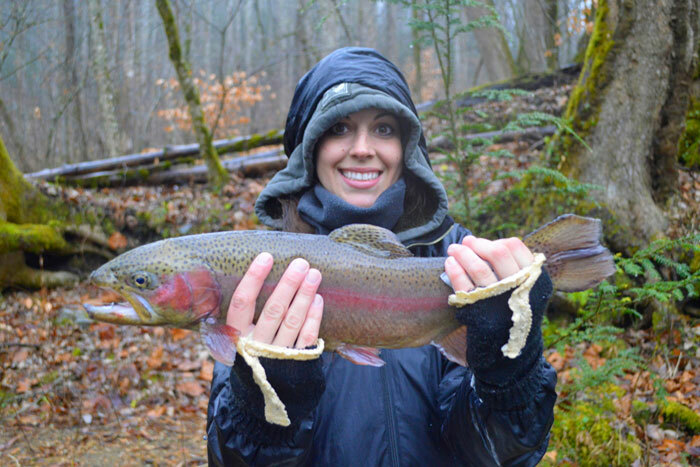 Raven Fork / Trophy Trout Fly Fishing Only section in Cherokee is home to the biggest trout in the Smokies. 2.2 miles long, this specially regulated section is fly fishing only, and catch and release. Streams of this quality are rare, and always private. Cherokee offers a unique trophy trout experience at a fraction of the cost of private waters found elsewhere in the country. You can expect to catch rainbow, and brown trout that exceed 20 inches, some measuring in the mid-30-inch range. Oftentimes anglers fishing this section will catch the trout of a lifetime. Access is great, and wading is easy to moderate. Long deep pools filled with educated trout broken up by faster sections make up most of the Fly Fishing Only section. 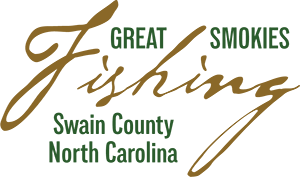 This special section plays host to a multitude of professional fly fishing competitions, including the 2011 Team USA Fly Fishing National Championships, and the annual Rumble in the Rhododendron.